AGAIN !PLZ REFER - https://us.battle.net/forums/en/hearthstone/topic/20767789084Forum Moderator Note: While the advice and/or information given in an older thread could have been accurate at the time, it may be now be outdated or a reply to an old thread could be overlooked. For these reasons please avoid 'necro' posting. If you have a similar issue and the advice previously given hasn't helped then please create a new thread with all relevant information. Free packs & first 10 packs Legendary? 08/29/2018 01:18 AMPosted by StevenSenseiYes, they count. You will open one legendary card within the first 10 packs of any set you open....you do not need to open them all at the same time. Free packs are the same as ones you buy with gold or real money.you SURE ?anyone can confirm this ? is deck tracker legal ? 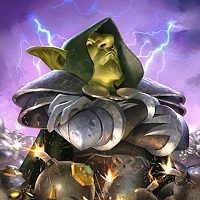 Is ths HSreplay decktracker safe? May i know do u vist forum ? BLIZZARD , Please let us get the full dust back ?You made changes and we are entiltled to get the dust refund.WHAT THE PRBLEM WITH YOU ? i CRAFTED MY KINGBANE GOLDEN bs Frost Lich Jaina too ?WHATS THE FkING PROBLEM JUST TO GIVE US DUST BACK NOT MONEY . *** if THE blue LOCKED THIS THREAD , I uRGE EVERYONE TO OPEN AND OPEN , ITS TOTALLY BS.